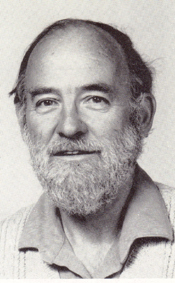 John Kenneth Raison was born in Sydney on 19 May 1932. After secondary schooling at Hurlstone Agricultural High School, he did a part-time undergraduate degree in Applied Biology at the University of New South Wales (completed in 1959) while working as a trainee industrial chemist with various companies including Meggitt Ltd and Union Carbide (Chemical Division). Following the completion of an Honours degree at UNSW in 1960 he was appointed Experimental Officer at the CSIRO Wheat Research Unit under Michael Tracey. There is no doubt that John’s infectious enthusiasm for biochemistry and his indefatigable approach to his work was greatly boosted by his short professional association with his uncle prior to Professor Morton’s untimely death. Then followed two postdoctoral fellowships: at CSIRO Division of Plant Industry (1964-65) and the US Department of Agriculture, Seed Protein Pioneering Research Laboratory, New Orleans (1965-66). In 1967, he was appointed Research Scientist at the Plant Physiology Unit, CSIRO Division of Food Research located at Sydney University. The lab later moved to Macquarie University, Sydney. In 1968, he spent study leave as a Research Biochemist at the University of California, Riverside, California and in 1979 spent a year at the Carnegie Institution of Washington, Plant Biology Division, Stanford University, California. During his career at CSIRO he was promoted to Principal Research Scientist in 1973, Senior Principal Research Scientist in 1977 and Chief Research Scientist in 1982. He retired for health reasons on 10 August 1988 and died on 21 March 1991. His research interests focused on membrane biology with specific reference to the modulation of membrane structure and function by temperature. The aim of this research was to provide a molecular basis for chilling injury in plants and hypothermic shock in warm-blooded animals as well as providing an understanding of the basic mechanisms of membrane changes associated with hibernation. He published a total of 86 papers, 34 as first author. In addition, he was convenor of several US-Australia Scientific exchange meetings on membrane biochemistry held at the East/West Centre in Hawaii. Raison RL (John’s brother), 2009, Personal communication.